Product code: ES1678 Categories: Sold Items, Sold Rings. This is a stunning Art Deco era ring that can be for any occasion, including as a wonderful engagement ring. 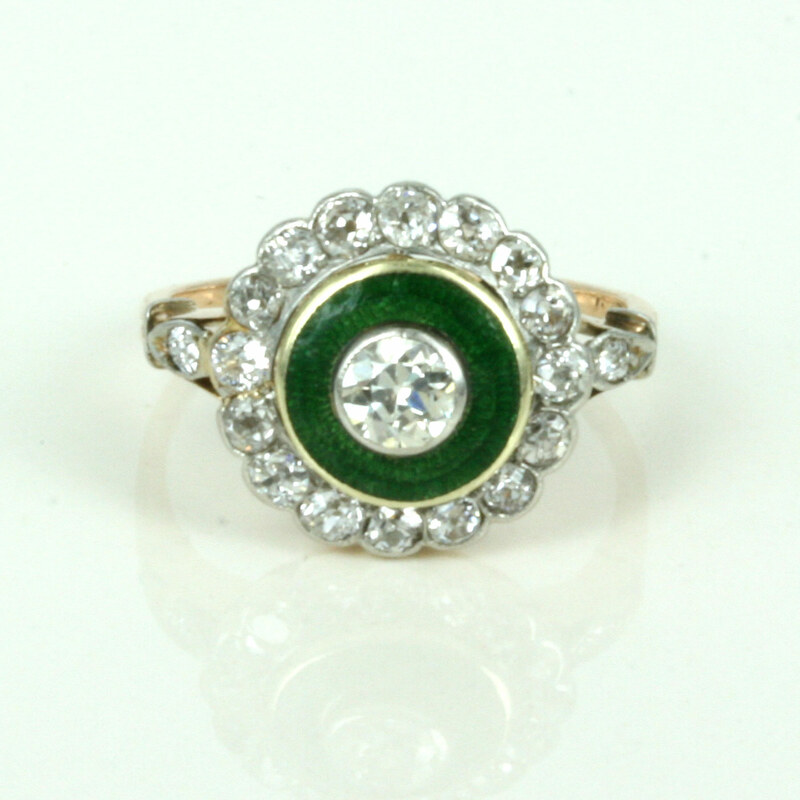 Made in a traditional diamond cluster design, this Art Deco ring is so beautiful to admire with its use of green enamel around the centre diamond. The centre diamonds weighs 0.25 carats, and is surrounded by 16 diamonds, with another diamond on each side. The 18 diamonds total 0.42 carats, and all the diamonds are F/G colour and VS clarity and all dazzle in the light. Hand made in 18ct yellow gold, it is the wonderful use of the green enamel that really sets this ring off and makes it so unique, and is why Art Deco jewellery is always so sought after. A wonderful Art Deco ring for all occasions.